With the Zewa SpaBuddy Sport TENS unit, Zewa has created a powerful little pain relief machine that can compete with much more expensive devices. The SpaBuddy Sport has a set of very convenient features and is so simple-to-operate, even the most technically challenged would struggle to go wrong with it. In this review I’m going to guide you through the machine, and its plus and minus points so you can establish whether it could be the device to lend you a helping hand. SpaBuddy Sport comes preset with 8 different electrical massage programs, designed to tackle a diverse range of chronic and acute pains. 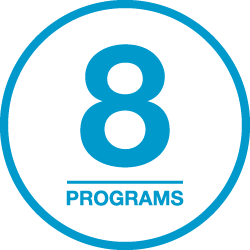 If you would like to take a look at exactly what the programs do now, you can see them in this pdf. As with any TENS machine that has pre-installed programs, you need to find you’re favorite one(s). It’s a case of trialing the programs first and seeing which you like. Different pains, muscle groups and areas of the body will respond better to certain programs than others. Because everyone reacts differently to certain programs, it is recommended to try all of them first and then use the one which was the most comfortable and provided the best relief. Unlike some of the lower priced TENS units I’ve reviewed, SpaBuddy Sport allows you to set your treatment time. The timer can be set for a session to last from 5-95 minutes or you can opt for the continuous setting. I must stress though, I never go over a 25 minute TENS session myself. If you believe that you would benefit from longer TENS therapy sessions it would be wise to consult with a medical professional (like your doctor or physical therapist) first and get their take on it. There’s nothing worse than overdoing it. I know some manufacturers (like Omron) recommend a maximum session length of 30 minutes at a time with their machines. The preset programs coupled with the timer make Zewa’s SpaBuddy Sport a hassle free device, most suited to people who want to sit (or lie) back, relax and enjoy their therapy, without having lots of manual settings to adjust. You can use two or four pads with SpaBuddy Sport, this type of machine is referred to as dual channel, (there are two pads per channel). This gives you the flexibility to treat one or two regions of the body simultaneously. One of the things I love most about this device is that it has a whopping 30 intensity levels! This gives an incredible level of control over the strength of your TENS treatment – and there aren’t many other machines that can boast this amount of flexibility. Compare this to the PL-009 and Omron PM3030, which have only eight and five levels, respectively. 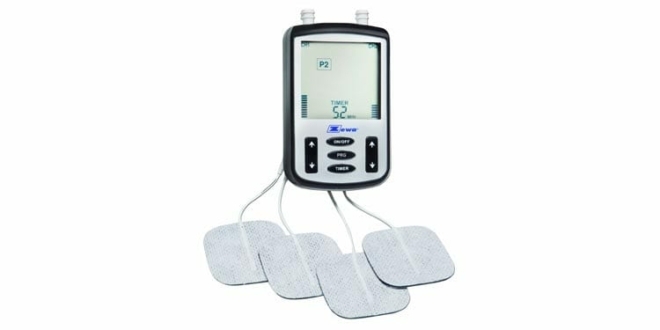 Have you ever used a TENS unit with only a handful of intensity levels? It can be impossible to find the optimal strength. Level 4 isn’t enough for your pain but level 5 is too high? With SpaBuddy Sport you’ll never experience that problem as it has a generous 30 intensity levels to choose from. Please be aware though, the number of intensity levels doesn’t make a machine more powerful – that’s to do with the current intensity (measured in mA). SpaBuddy Sport has the power too – with a maximum output of 100mA. This is just right for TENS therapy, you do not need any higher. Adjusting the intensity is as simple as 1-2-3, just press the + or – button for the channel you’d like to change. There are two sets of + / – buttons for this on the front of the device, it’s all very clear and straightforward. I’d be surprised if most people even need to go anywhere near intensity level 30 – but it’s reassuring to know it’s there, if you do require it. Everybody wants their device to be simple-to-operate, right? It seems the designers at Zewa thought so as well! SpaBuddy Sport is one of the easiest devices out there to use. Along with the previously mentioned + / – intensity controls there are three buttons only to deal with – perfect if you’re overwhelmed by lots of controls and options. With just a few clicks on the controls you can be up and running… or better still – laying down and relaxing! The oval shaped buttons are underneath the screen and are clearly labeled: ON/OFF, PRG (for selecting the program) and TIMER. If I was to be hypercritical I would say one slight downside with the machine (there are very few) is that the programs are referred to as P1, P2, P3, etc. I would prefer to see these named individually, it would make it easier to remember and differentiate between them. However, it’s really not the end of the world and the Program Guide can help you out, if you do happen to forget. You’ll see a lot of devices on the market with very small cluttered displays. Because the SpaBuddy Sport’s screen takes up about 50% of the unit’s front – it has allowed the designers to space the data out. Personally, I can’t stand small displays that are hard to read, where all the information is grouped too close together. The only thing you may like to bear in mind is that it’s not a backlit display. To me this isn’t a massive issue but I know some people will be looking for a device where the screen is lit. 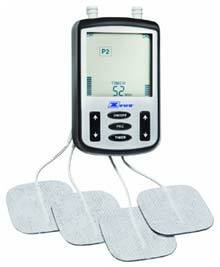 If you’re searching for a TENS unit that can offer this, you may like to take a look at the HealthmateForever range. What’s important to note here is that the SpaBuddy Sport is very competitively priced (something I’ll go into in further detail later in the review). It doesn’t have everything that some of the higher end devices come with but it does provide a good, simple and flexible TENS setup. Like some of the other machines I’ve reviewed, this is powered by AAA batteries (it takes three). The unit itself is not rechargeable, which is a bit of a shame – but fortunately, it seems pretty impressive when it comes to battery life. With a maximum output intensity of 100 mA it has the power of professional TENS units – so it’s doing a good job to make those AAAs last. With high quality batteries you may even be able to get 10 hours use out of them before they need replacing. If you have a 30 minute treatment each day you’d be looking at around 20 sessions per set. Opting for a set like this from Amazon could provide you with batteries for about 8 months’ use. If you’re not purchasing a rechargeable TENS unit, you want your device to be good on batteries – and the Zewa SpaBuddy Sport is just that. It’s also worth remembering this machine takes only three batteries, whereas some in a similar price range require four. Height and width-wise, the main unit is only a fraction bigger than a credit card. Of course, there’s about an inch in depth to consider too, nevertheless it is quite compact and makes it about average size. It’s very similar in measurement to TENS 7000, almost the exact same outer dimensions – and it’s considerably smaller than truMedic’s PL-009 device. Something that’s a tad smaller is Omron’s PM3030 but that machine has a very limited feature set when compared to SpaBuddy Sport. As you’d expect, this small TENS unit is lightweight. When you include the batteries it weighs in at just 4.8 oz (or 136 g). This is about 10% lighter than TENS 7000 and truMedic’s PL-009 – such a small amount – you wouldn’t really notice the difference in weight between the three machines. Compact and lightweight? Check. Highly portable? Check. Carrying case? No, unfortunately not! What a shame – but thankfully there are a couple of candidates to do the job. Although it’s designed to carry a GPS, this case I found on Amazon is almost sized to perfection. It’s a little bigger than the device, which is great – means there’s room for cables, electrodes, spare batteries, etc. The pocket in the lid is handy too – useful for wires and keeping things neat and well organized. Alternatively, if you’re thinking of something with more storage and compartments, check this one out (also from Amazon). It’s bigger and has a greater capacity – something that will come in useful if you’ve got a few spare batteries, pads, electrode gel or any other accessories. You could even pop your phone / tablet charger in there if you were going away! Not only will a carrying case provide a home for your unit and accessories, it will protect it all. Zewa supplies enough to get you up and running immediately. You’ll find the device, 3 AAA batteries, 4 pads, electrode cables and an instruction manual inside the box. Some people find the standard pads Zewa ships with SpaBuddy Sport are a bit sticky and don’t last so long for them. What I will say here is that you shouldn’t be basing any purchasing decision on the pads that come with the device. It takes universal pin-type connection electrodes – so you’re spoiled for choice – just look at all of these available on Amazon! You could use almost any of those as replacements. If you want to learn more about TENS electrodes click here. Rather than focusing on how good or bad the ones in the box are, focus on the fact they’re a standard fit. Those four that come with it aren’t going to last forever, therefore, it makes more sense to forward plan. The only time where you would need to seriously consider the pads is if you were looking at machines that only take a special fit. An example of this is Omron’s devices, which only work with their own brand of electrodes. Special fit pads are extremely restrictive and can lead to expensive running costs. Personally, I would never consider buying a machine that only works with one brand of electrode. Another plus point with this machine is its warranty. Where most (TENS 7000, Omron, AccuRelief, to name but a few) come with a single year’s cover, SpaBuddy Sport is backed for two years. It’s not quite as impressive as HealthmateForever’s lifetime warranty. Compare it to a single year and truMedic’s (which is only 90 days) and it stacks up very well, indeed. Online reviewers seem to backup my thoughts on the Zewa SpaBuddy Sport. The majority of comments I read were very complimentary. Many consumers reported they had an excellent experience with the machine. In all fairness there’s not too much wrong with SpaBuddy Sport. You don’t get such a high average rating – from so many consumers – without doing something right. Making the machine rechargeable, backlighting the screen and supplying a carrying case would inevitably make the purchase price higher and less accessible. Zewa has positioned the SpaBuddy Sport TENS unit in the middle of the market. It can however still be categorized as “affordable”. There’s not too much difference in price when compared to truMedic’s PL-009 or Omron’s PM3030 – but SpaBuddy Sport offers more, in terms of features and versatility. Out of the major retailers, I located it on Amazon and Walgreens. Walmart used to stock the product but when I checked again (24 November, 2015) it wasn’t available. In terms of running costs, I’ve been over these earlier in the review. The device takes universal pin-type electrodes so you have a huge selection to choose from – and the prudent thing would be to buy batteries in bulk, if you intend to use the machine regularly. We all know how frustrating it is when batteries run out of juice and we want to use something! In my opinion, Zewa SpaBuddy Sport is priced to perfection, it represents serious value for money. It certainly has more to offer than the entry level devices but manages to do this without costing the earth. When you consider how much it costs to have a TENS treatment at the chiropractor’s, it seems like a small price to pay – to have your own machine, on call 24 / 7. My overall view on Zewa’s SpaBuddy Sport is that it’s a very good machine, best suited to people who want a device that has a broad selection of programs but is simple enough to get out of the box and use straight away. If you’re looking for a powerful no-nonsense TENS unit – that requires minimal user input – to achieve maximum results, the Zewa SpaBuddy Sport could be the device for you.